There once was a company called Dazzle who made party dreams come true. 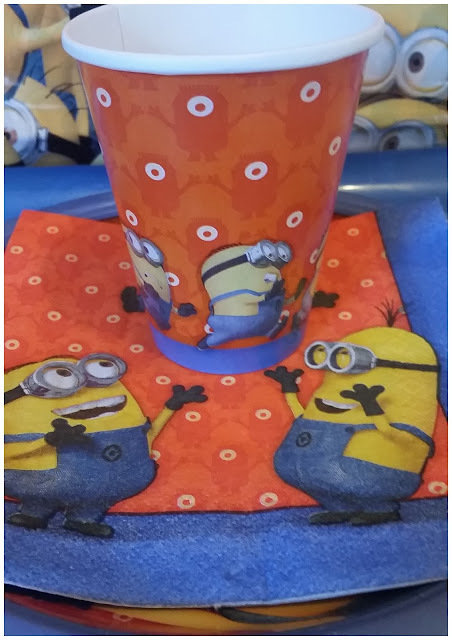 They laid our table with Minions and made the kids laugh all day through! They brightened up our home on the most important day of the year. Their Minions Party Pack goodies received a huge happy childs cheer. The Dazzle Minions Party pack has enough goodies to serve 8 children. There's a table cover and a plate, napkin and cup for each child. The designs are nice and bright, they really catch your eye and brighten up even the dullest of rooms. The little minion characters are so funny, they're all doing silly things which the children thought was great. I was going to save our party pack for my youngests next birthday party but we were too excited and decided to use them early for a family picnic in the garden which means we may have to get ourselves another pack now as the kids loved these ones so much. Although the plates and cups are made of paper they're a nice quality so they can be reused if they're not too dirty as they simply wipe clean with a damp cloth. There's no thin paper or spillage with them. Just nice strong, sturdy cups and plates which are great. If you're little ones love the Minions like mine do then they will love partying with them at their party. The bright colours and cute character designs make for a really nice pack. 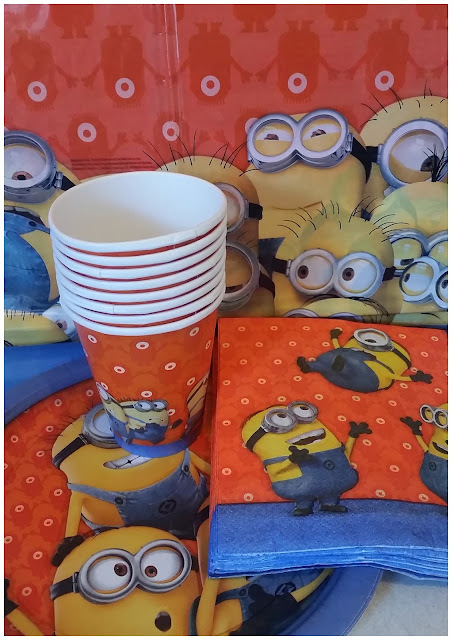 We loved our Minions party pack but there are lots of other packs to choose from at Dazzle. Disclosure: We received our party pack sample in return for an honest review.